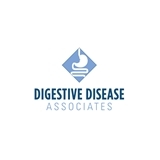 Digestive Disease Associates (Columbia) - Book Appointment Online! www.ddamd.com Since 1996, the physicians of Digestive Disease Associates have been committed to providing quality medical care for the diagnosis and treatment of gastrointestinal and liver disease. Patients throughout Maryland, Pennsylvania, Virginia and Washington, D.C., have benefited from the patient-centered care delivered by our 17 board certified, fellowship-trained gastroenterologists. Digestive Disease Associates offers a full range of specialized medical services which focus on all aspects of gastrointestinal (stomach and intestines) and hepatologic (liver-related) disorders. Treatment is provided in one of our two state-of-the-art endoscopy and infusion centers, which permits patients to receive the highest level of medical care in a safe and comfortable environment. Dr. Solomon is always caring, friendly and helpful. I never feel rushed. She is thorough and willing to listen and answer all questions I ask her. Always a comfort to talk to her. Dr. Abernathy, Dr. Hunt, and the assistants were extremely gracious. I was terribly nervous about the procedure and they all took the time to attend to my fears. I would recommend them to everyone.